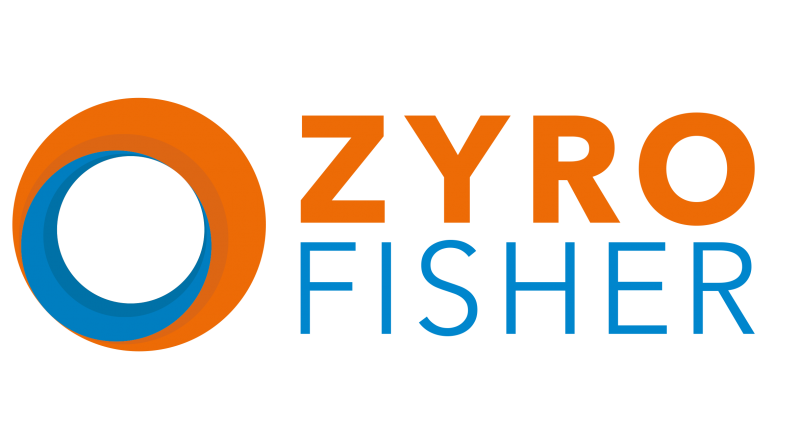 Following on from yesterdays article on E-Bike parts and accessories, it was no surprise that Zyro-Fishers Brand Managers had lots to talk about at the NEC. With a wide portfolio of brands on offer and a mix of new and existing products, we found a great range of e-bike problem solvers. 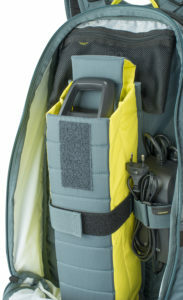 The FR Trail E-Ride is a 20L riding pack from EVOC. The key thing that makes it e-bike specific is the dedicated stowage section for a spare battery. And a pocket for your display, should you wish to remove it. The battery is centrally mounted and the display case pocket padded and fleece lined. 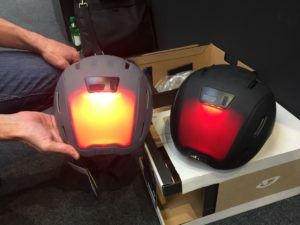 Couple with integrated Liteshield back protection it offers riders the option to go further without compromising their own safety or their expensive spares. 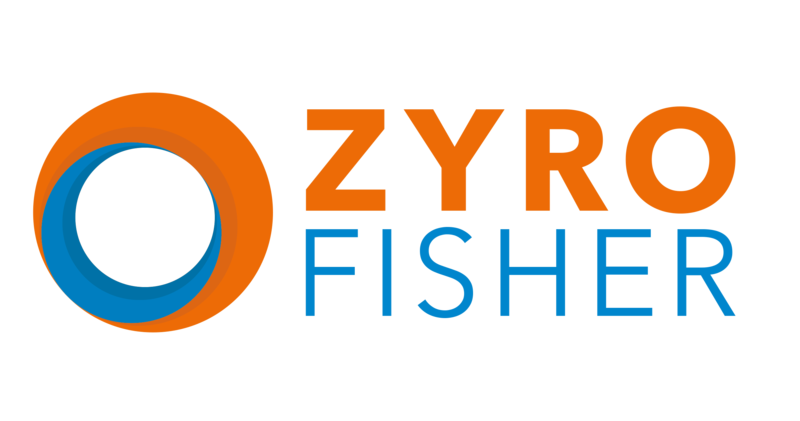 Zyro-Fisher became the UK Distributor for Evoc in June this year. 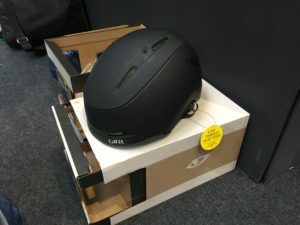 Never one to shy away from innovation, Giro’s new Bexley helmet is a feature packed e-bike compliant lid which does pretty much everything. Starting with an integrated Visor, there’s no need to remember your glasses. Then it looks after of the rest of your head with controllable venting and removable (slotted) ear covers. So, basically that’s you sorted, you can see, you can hear and you’re not too hot. Or cold. What about drivers seeing you? How about a massive square light in the back – with solid or flashing mode. Retailing at £220 it also features MIPS and is in stock now in three sizes (S,M,L) and two colours (Grey or Black). If £220 is a little too much for some of your customers, the new Camden has fewer features (but retains MIPS and the large integrated light) and comes in at £140. 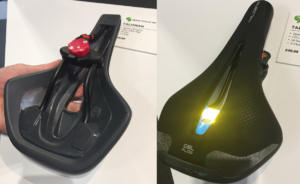 Both helmets are certified to the new Speed E-Bike standard NTA 8776 for Speed Pedelec usage. 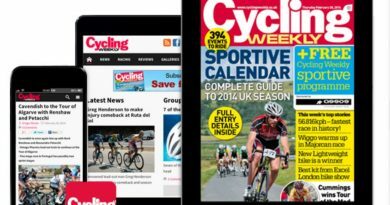 The increased speeds of e-bikes demand a higher level of protection for the rider, say Alpine Stars. 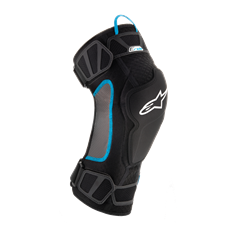 The E-Ride Knee (SSP £80) and Elbow (SSP £75) Protectors are designed to meet this demand. 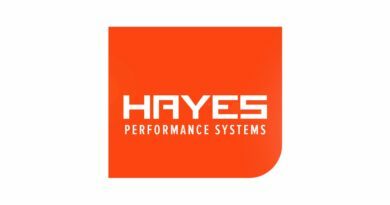 Both pad sets are available in two sizes and comply with Level 2 CE certified Type A Viscoelastic PU foam protector (EN 1621_1). There’s only colour though, black and white, with a bit of blue going on. Of course many e-bikes comes with SRAM equipped group-sets. 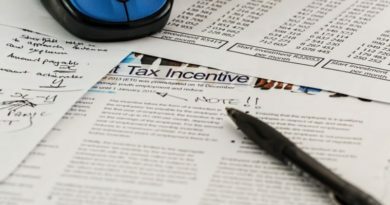 But the addition of the NX group-set makes ongoing maintenance more economic with interchangeability within XX1, X01 and GX Eagle components. The NX shifter is great for e-bike use with specific single-change, recommended as e-bike drive trains don’t like multiple shifts under load, they get enough wear as it is. The widely spaced 11-50t NX cassette mounts on a standard splined body and retails at £99, making those more frequent drive train changes more affordable than previously. At 614g its stamped steel rings are no lightweight affair but many might argue that on an e-bike, does it really make much difference? 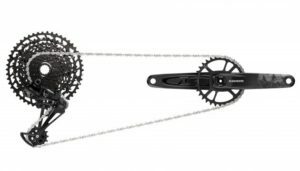 SRAMs DUB crankset also come in a 165mm option (as well as 170 and 175) which many e-bikes favours for continuous pedalling with fewer pedal clouts. 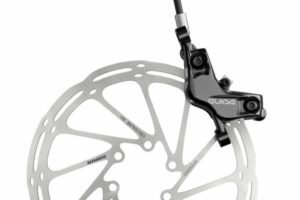 Braking a heavier bike, travelling at higher average speeds becomes easier with these Guide 4 pot brakes. Within the RockShox range, there are no e-bike optimised forks, instead each model has a recommended e-bike setting. Another relatively new Brand to the Zyro Fisher portfolio, WD-40 is well known for use in bike maintenance and also is a favourite among home car enthusiasts, noted for its protective film effect on electrical points. 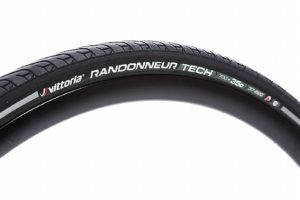 Selected tyres in the range are e-bike certified including editions of Randonneur, Revolution, Trail and Adventure. 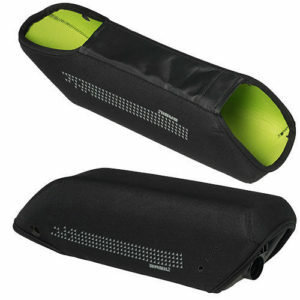 The Basil Battery Cover is a neoprene sleeve that offers optimal thermal protection for your frame battery. Extreme cold, scratches, damage and shocks are all counteracted by this cover. In stock at £22.99 SSP, there are two models, one for Bosch Downtube batteries and one for rear rack mounted designs. Designed to be left on while riding the bike, they are also useful when removing batteries for mounting an e-bike on a vehicle, protecting your battery while stowed in the boot.